Done my junior year in High School. 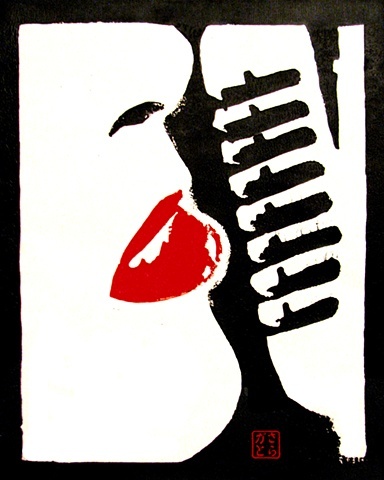 A linoleum block print in black and red (no easy feat) of a female singer and an old school microphone. The title's a play on the phrase, "tell me no stories, tell me no lies."